Nova will learn it takes more than sheer strength to be a superhero. Her world implodes when Fortune strikes back for all the trouble she's caused. His dangerous games put everyone around her at risk, especially when he decides to turn Arcania against its precious Heroes. Nova wants to protect Arcania, but how does she save a city that doesn't want her help? Cole has no idea how to deal with his sister Penelope, especially now that she's learned the truth about their family secret. 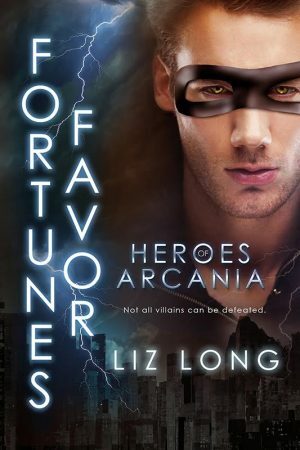 Thanks to Fortune, she's headed down a dark path, one with no return. Torn between helping Nova and protecting his sister, Cole will be forced to make a choice. Tensions rise as Cole and Nova discover war will come to Arcania if they don't get Fortune off the streets...or preferably six feet under.